What happens if I lend my car to someone who gets into an accident while driving it? If you are like many people, you may not give a second thought to lending your vehicle to a family member or friend to help them out. Or maybe your babysitter drives your kids in your more dependable vehicle. But what happens if this person gets in a car accident while driving your car? Will their automobile insurance policy cover the damages caused by the crash? If the person you lent your auto to was at fault, you would face liability as the owner of the vehicle, and your insurance policy would be primarily liable. The insurance policy for the person who borrowed your vehicle would be secondarily responsible. This secondary insurance policy could pay to compensate the victims if the amount they are entitled to exceeds your policy limits. If the other driver was at fault in causing the accident, he would be liable for compensating any injured victim—and you for your vehicle damage. If the person who borrowed your vehicle was uninsured, you could be liable for all of the damages. This means that you could face personal liability if the amount owed is more than your insurance limits. 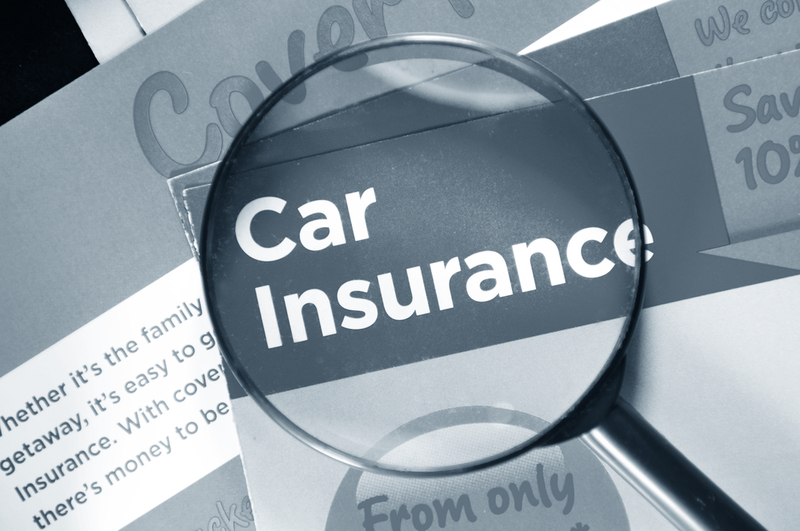 This assumes that the person you lent the vehicle to is not someone excluded from coverage under your vehicle insurance policy. In addition, if the person took your vehicle without your permission, his own insurance policy could be primarily liable, and you most likely would not be responsible for any damages. Did a friend or family member use your vehicle and get into a car crash in Henderson or the Las Vegas area? Did you suffer damages to your vehicle or your property? Contact us online or call our firm directly at 866-299-0558 to schedule a free consultation with our experienced legal team. We are happy to answer your questions about your legal responsibilities and options. How much will a car accident attorney charge me? If you were hurt in a car accident, you have made a smart decision if you decided to retain an experienced car accident attorney instead of trying to represent yourself. In picking an attorney, you want to be certain that he is experienced in handling these types of cases, has a good success rate, and investigates his cases thoroughly. Another important consideration—but not the only one—in your decision should be how much he will charge to represent you. How Do Attorneys Charge in Car Accident Cases? Contingency fee. This is probably the most common fee arrangement. The attorney charges a percentage of the settlement award or amount awarded at trial—ranging from 25 to 40 percent of the settlement amount—as his attorney fees. 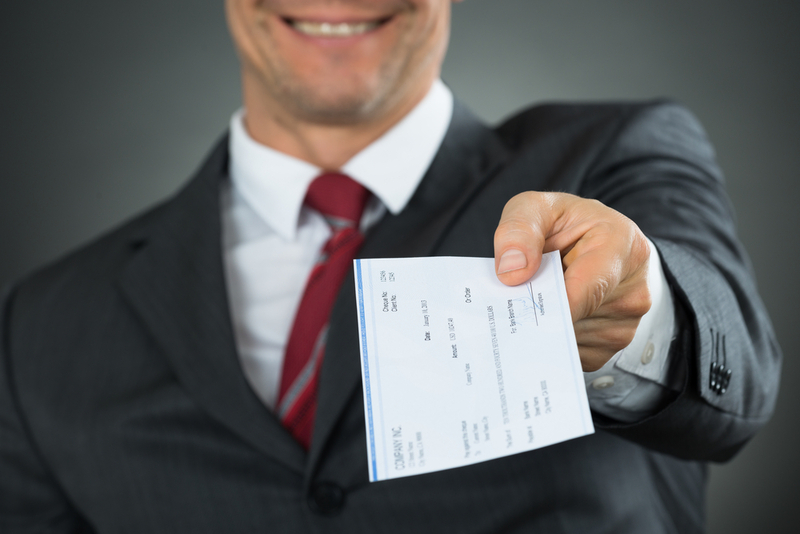 This fee is paid directly out of your settlement proceeds before you receive your check. If your attorney is unable to settle your case, you do not owe any attorney fees. Contingency fee plus retainer. Some attorneys will utilize a contingency fee payment schedule, but also require you to pay a retainer at the start of your case. This amount is deducted from the percentage owed once your case is resolved. Hourly rate. While rarer, some attorneys will charge an hourly rate for their assistance in your case. If your attorney charges this, you want to be certain that you understand how many hours he plans to spend on your case so you are not surprised by the attorneys’ fees you owe. You may be responsible for paying these fees up front or the attorney could advance these costs and deduct them from your settlement. You want to be certain you know how these costs will be charged and the approximate expenses you can expect. While hiring an attorney may seem expensive, it can be well worth it if you retain a good attorney who can increase the likelihood that you will receive a fair settlement. If you or a family member was injured in a car crash, fill out our firm’s online form to schedule a free, no-obligation consultation or call us directly at 702.405.6000. We are proud to serve Henderson and surrounding Las Vegas area. Should I talk to the insurance adjuster for the driver who caused my accident? 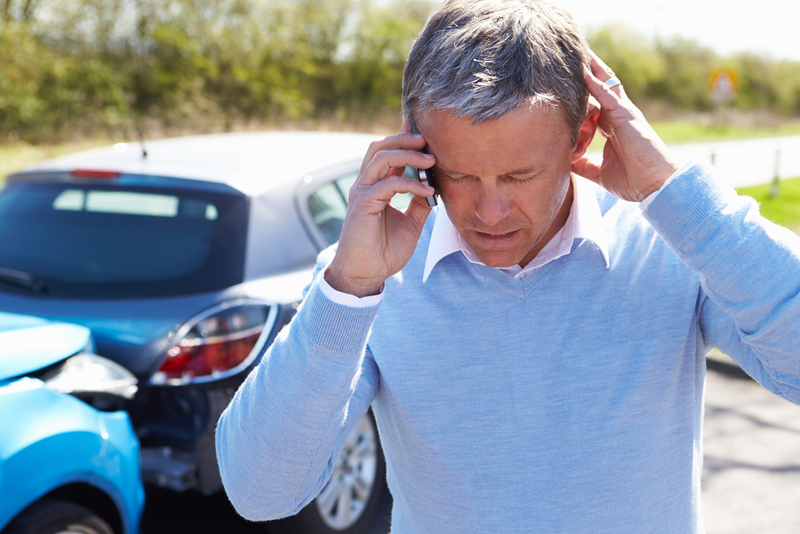 If you were involved in a car crash caused by another driver, you may have already received a call from his insurance adjuster. These adjusters often contact accident victims within days of the crash. How you handle this call and communications with the adjuster could have a huge impact on the amount of your settlement. Report your claim. You will need to report your claim in order to be compensated for your injuries. But reporting your claim is different from discussing it with the adjuster. Ideally, you want to contact an experienced car accident attorney who can make your claim for you and handle all communications with the adjuster. However, if you report your own claim, you want to keep the conversation simple and report the basics: where your vehicle is so it can be inspected, who was injured, and what treatment you received and are receiving. Never admit fault. You should never admit fault—even if you are uncertain if you were partially to blame. You are under no obligation to give the other driver’s insurance company details on how the accident occurred and should be wary of doing so even if you know you were not at all at fault. Do not admit you were not injured. You may not believe you were really injured in the crash or could think your injuries were minor. Do not tell the adjuster this. Many injuries—such as back, neck, spinal, or head injuries—can take days or weeks before you begin experiencing symptoms. You do not want to hurt your claim by denying any injuries right after the crash when you really do not know whether you are hurt or not. Do not agree to sign anything. You do not want to agree to sign a blanket medical authorization allowing the adjuster to get your complete medical records or to give a recorded statement where the adjuster asks you questions and records your answers. Agreeing to these could result in your inadvertently hurting your case. Contact an attorney. If you did not contact an attorney before your first conversation with the adjuster, you want to do so immediately after this call. An attorney can handle all your negotiations with the adjuster and walk you through the entire legal process. If you or a family member was hurt in a car accident caused by another driver, check out our firm’s case results and then call us at 866-299-0558 to schedule a free, no obligation consultation. Should I accept a settlement check from the insurance company in my slip and fall case? After your slip and fall accident, you may be shocked at how quickly you hear from the insurance adjuster for the business or property owner who caused your fall. He may also offer to settle your case and to present you with a check if you just sign some paperwork. You might think you finally got lucky and may consider taking the money—especially if you need it and want to save the expense of hiring an attorney. But do not make the big mistake of saying yes to the adjuster’s offer. The insurance company will require you to sign a release waiving all claims to future compensation before giving you the settlement check. If you sign it and later discover your injuries were more serious than you thought, you could not go back to the insurance company or the negligent party to obtain any more compensation. You could be entitled to much more compensation than the adjuster is offering you—even if you are certain of the extent of your injuries and have returned to work. Before you decide to accept a settlement check, you want to consult an experienced slip and fall attorney who can advise you on how much compensation you are really entitled to. Depending on your medical prognosis, he may recommend waiting to attempt to settle your case until you have completed your medical treatment and have a better sense of what medical expenses and lost wages you will incur in the future to ensure you receive the settlement you deserve. If you or a family member was hurt in a slip and fall accident, call us at 866-299-0558 to schedule a free consultation. Am I entitled to compensation if I was partially at fault in causing my car crash? If you were partially at fault in causing your car accident, you might think this prevents you from receiving any compensation from the driver who was primarily at fault. Fortunately, this may not be the case. However, your fault could be a determining factor in how much compensation you receive. If you were 51 percent or greater at fault in causing the accident, you would not be entitled to any money. If you were less than 51 percent at fault, you would be entitled to compensation, but the amount would be reduced by the percentage of your fault. For example, if you were 25 percent at fault, a $500,000 award would be reduced to $375,000—still a substantial sum. In a jury trial, the jury would be asked to decide the full amount of compensation you would be entitled to without a determination as to who was at fault as well as a special verdict indicating the percentage of fault for each party. The judge would use this information to set the final amount of your award. Of course, the insurance company for the negligent driver will try to argue that you are more at fault than you really were to deny or reduce your claim. That’s why you need an experienced car accident attorney on your side. Hurry to not miss the deadline to sue. Call us at 866-299-0558 to schedule a free consultation to learn how we can assist you. What complications could I suffer if I need hip replacement surgery after a slip and fall accident? If you fractured your hip in a slip and fall accident, you may need surgery to repair the damage. You are facing major surgery and a lengthy rehabilitation. Unfortunately, even with surgery, you could find your long-term independence reduced or you may be unable to continue to live on your own. You also have an increased risk of weakened bones and falling in the future—which could result in another hip fracture. Additionally, you could suffer serious complications from your hip replacement surgery. Blood clots. Because of the changes in the way blood flows and clots after surgery, you could develop blood clots in the deep veins your legs, causing pain and swelling. Pulmonary embolism. If a blood clot travels into your lungs, you could experience sudden breathlessness, chest pain, or a collapsed lung—a potentially life-threatening condition. Dislocation. Your hip replacement could dislocate—in some cases multiple times. If this occurs, you would need additional surgery to put it back in place or to install a brace to stabilize the hip replacement. Infection. If your hip joint becomes infected, you could need antibiotics to treat the infection. Often the new hip joint must be removed and a new one implanted two to four months after the original surgery. Wear. Plastic hip replacement parts can wear over time, resulting in the area becoming inflamed and eating away the bone around the inflammation. Loosening. 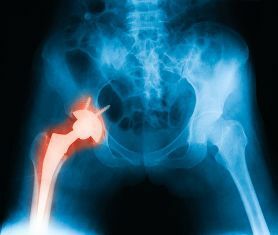 Your artificial hip could loosen—often years after your original surgery, causing you pain and instability in your hip. Surgery is usually required to repair this problem. If your hip was fractured in a slip and fall accident, we’re here to help you get the compensation you could be entitled to. Call us at 866-299-0558 to schedule a free, no-obligation consultation. Should I sign a medical release requested by an at-fault driver’s insurance company? If you were involved in an automobile accident and the other driver was at fault, that driver’s insurance company may ask you to allow it access to your medical records. You may hope this means that the insurance company will quickly settle your claim, but this isn’t usually the case. It is never a good idea to give the insurance adjuster a blanket authorization to obtain your medical records. Any pre-existing injury. The adjuster might look for appointments where you saw the doctor about pain or an injury in the same area as your current injury. Even if this pain was minor, the adjuster might argue that you had a pre-existing injury and use this in an attempt to deny your claim or reduce the payout. Doctor notes. The adjuster could review the doctor’s notes for any inconsistent or contradictory statements you may have made regarding the extent of your injuries. Frequent doctor visits. If you had medical conditions unrelated to the accident that caused you to go to your doctor frequently, the insurance adjuster might claim that you were already in a fragile medical state, and this was part of the reason you were injured in the accident. If you are being pressured to sign a medical release, contact an experienced car accident attorney before doing so. Contact us online or call us directly at 866.299.0558 to schedule a free, no-obligation consultation, so we can explain your legal options and review any medical authorization you are being asked to sign. Should I give a recorded statement to a negligent driver’s insurance company after my auto accident? If you were seriously hurt in a car accident, you may be more concerned about your injuries than filing a claim with the other driver’s insurance company. However, an insurance adjuster for the negligent driver may call you to sign documents and request that you give a recorded statement. In Nevada, you are generally not required to give a recorded statement. Even though your statement is not taken under oath, anything you say in the recorded statement could be used against you if you file a lawsuit. The insurance adjuster may be looking for admissions to show you were partially at fault in causing the accident or to minimize your damages. The insurance adjuster may lead you to believe that a recorded statement will help your claim. But because the adjuster works for the insurance company, it’s likely that he wants information that helps deny your claim or pay you as little as possible. It is likely you won’t have access to the recorded statement of the other driver, although your attorney may be able to obtain it later in the litigation process. Giving a recorded statement rarely helps an accident victim’s case—and often hurts it. If you were hurt in an auto accident and are being pressured to give a recorded statement, it's important that you speak with an experienced car accident attorney as soon as possible. Contact us online or call us directly at 866-299-0558 for a free consultation before providing a recorded statement to an insurance company. We can explain your legal options and how we can help you.